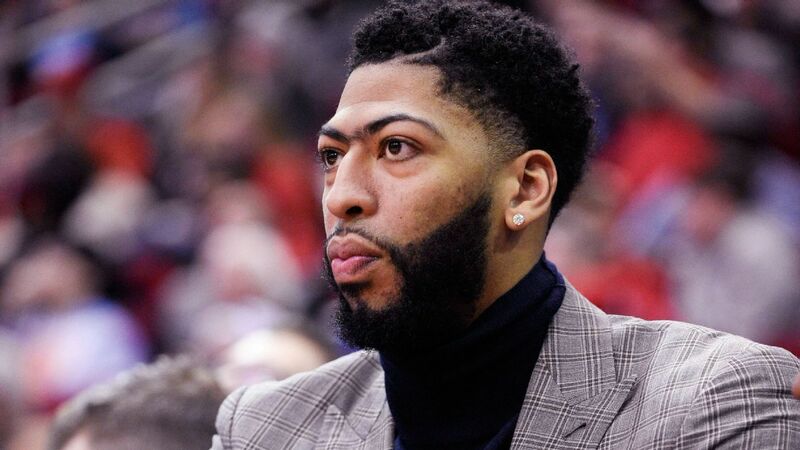 NEW ORLEANS – The presence or absence of Anthony Davis was undeniable on Wednesday as the Pelicans played against the Denver Nuggets, the team's first home game since Davis' request for trading went public on Monday. Davis was missing almost all the team's pre-game hype video before the start of the match and he was removed from the picture of the entire Pelicans list with the motto "Do It Big" at the end of the video. Here's what each team can really put on the table during business negotiations. Pelicans are facing a crucial moment in Anthony Davis' exchange request. Davis, who is still absent due to a broken finger, sits almost unobtrusively at the end of the bench during the match, joining late-breaker groups and cheering on his teammates. The tone in the arena was generally lukewarm, with some sparse signs and possibly additional support for Jrue Holiday, who was warmly applauded during the presentations. When Davis got out of the tunnel before the match, some fans booed him, but that was barely noticeable. A fan held a sign near the Pelicans bench on which was written: "J., LeBron will not like us." Davis has not spoken publicly since his request for an exchange, but should address reporters after the team's training on Friday. He must return from his injury in the coming days, but when asked if Davis would play another game for the franchise once he was released, Pelicans coach Alvin Gentry was uncertain. "It's a difficult thing to answer," he says. "I do not really know how to answer that, I guess he'll do it – it's a subject that will obviously have to be discussed to find out what's best for him and for our team." Team owner, Gayle Benson, spoke to the team before the match in the locker room, congratulating the players for beating the Rockets on Tuesday. At the end of the win, Davis was very active, speaking with Gentry and his assistant coaches. Despite the obvious inconvenience of the situation, Gentry said his activities were going as usual. "It's not embarrassing at all," Gentry said. "I think if you ask every guy in the locker room, he will tell you the same thing, he's the same guy, he asked to be exchanged, but he's the same guy." has not changed and all of a sudden we do not feel at all different from him.This is one of those things.We will have to manage it as an organization and it will have to manage it as an individual and we let's finish with the. "AD is a good kid," he said. "A good solid guy, guys in the locker room, of course, like him and he likes them, nothing has changed from the point of view of training." He had the right to do that. , to ask that, it's over there, but the one thing we can not do as coaches and as a team is that we can not let that be a excuse us or two and affect the way we think or what we try to do. "